LinkedIn Profinder Cost? LinkedIn Profinder Fees For Pro & Business? What Does LinkedIn ProFinder Cost? Is it Free? Whether you wish to use LinkedIn ProFinder as a freelancer or as a client, it’s time to answer the most important question: What does LinkedIn ProFinder cost? Is it free? Say you’re a small business or an individual and you need a freelancer to take on a project you can’t handle. Where can you find a good one? Or you are a freelancer, looking to build your business. How can you find people who need your skills and can afford your rates? LinkedIn ProFinder can help solve both of those challenges. Here’s how much it costs. If you’re a freelancer looking for clients, LinkedIn ProFinder is free – initially. You can submit up to ten proposals at no charge. This is possible because they want you to get a feel for the service and see if it actually does help you find clients. Once you’ve submitted ten proposals, if you’d like to keep using the marketplace, you’ll need to upgrade your LinkedIn account to Premium. As I mentioned in LinkedIn ProFinder, Freelance Marketplace, this is not an insignificant amount. At $59.99 per month, you’ll end up paying $719.88 per year to use the service. If you pay for a year in advance, you’ll save about 25% ($575.88), but it’s still pretty hefty. That price point is why they let you test drive the system before asking you to commit to a fee. However, this fee gets you more than just the ability to submit proposals and find clients through ProFinder. Is The Premium Membership Fee Worth It For Freelancers? LinkedIn’s Premium Membership provides several enhancements to your account. The membership required to submit unlimited proposals through ProFinder is the Business level. View an unlimited number of profiles for people outside of your network to find quality leads. Contact 15 people per month who are not your connections with InMail credits. See who’s viewed your profile and how they found you. This could be particularly helpful in identifying warm leads. Have access to LinkedIn Learning, an online learning platform with thousands of expert-led video courses on business, creative fields and technology. If you were to purchase that service independently it would be $24.99 per month. Basically, being able to take full advantage of LinkedIn ProFinder is a bonus that’s offered in addition to all of the above. You can also get a full refund if you cancel within 60 days. 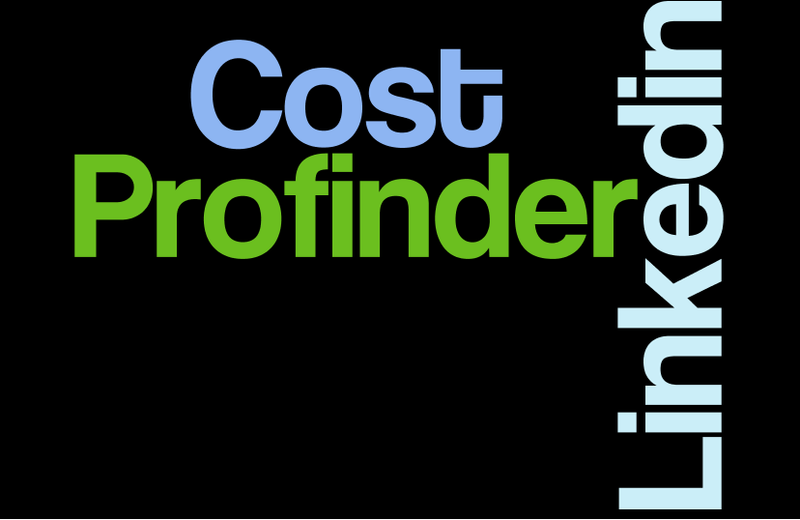 So the answer to the question “How much does LinkedIn ProFinder cost?” is, for clients and those looking to hire experts it’s completely free, and for freelancers it’s free to submit up to ten proposals. After that freelancers will have to upgrade to LinkedIn Premium for Business.